A Christian day school class of first and second graders was given an assignment to draw a picture of the Christmas Story. As the children finished, each would come forward and describe his or her drawing to the class. The pictures contained all the wonderful elements of the Nativity including: Mary, Joseph, the manger, shepherds, angels, the star, and most importantly - Baby Jesus. All the children had shared except for Bobby who continued to work on his drawing. Finally he set his pencil on his desk and looked up at the teacher who said, "Bobby, you are the only one left; would you please come up here and show us your picture?" Bobby slowly shuffled to the front and held up his drawing. 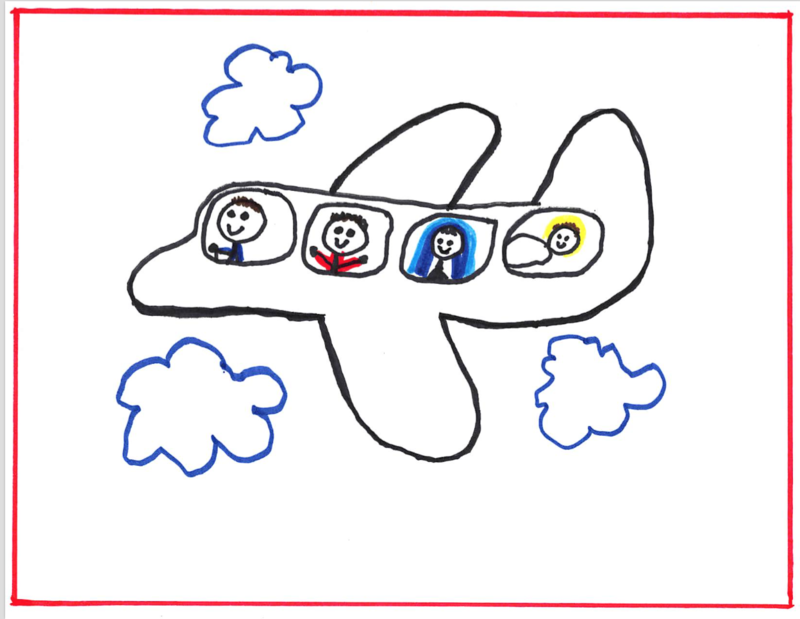 Some of the students began to softly giggle since Bobby had clearly drawn a picture of an airplane. His teacher thinking that perhaps he had misunderstood the assignment said, "Bobby, I see you've drawn a picture of an airplane; would you explain how this relates to the Christmas Story?" After a long pause Bobby said, "It's a picture of the flight to Egypt." His teacher breathed a sigh of relief. "That's very good," she said, "Would you tell us about the people in the picture?" Bobby pointed to the three people in the passenger section of the airplane, "That's Joseph, Mary and Baby Jesus." By this time the teacher is clearly impressed. "I understand," she said, "but who is the person in the very front?" "Can't you tell?" answered Bobby - "It's Pontius the Pilate, of course!" This Christmas, our prayer at WindSong Ministries is that each you may experience childlike wonder and delight as you receive the greatest Gift of all - His Christmas Presence!